Rudy Gutierrez Jr. interview conducted July-August 2009. Born in 1935, in Bronte, Texas, to bass player Jesus Gutierrez and his wife Tibursia, Rudy Gutierrez grew up surrounded by music. “When my grandfather saw that my dad had an interest in music, he helped him form a band. 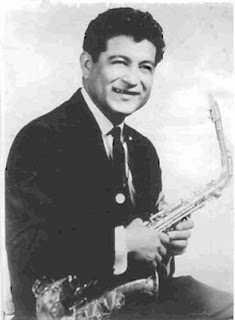 I believe my dad was somewhere between 10 to 13-years old – he was known as the ‘youngest band leader in Texas’ back then,” said Rudy Gutierrez Jr.
href In 1954, after a number of years performing around Texas, Rudy Gutierrez moved to Colorado. Several of his family members followed, setting up a new base for the band. The group was quickly establishing themselves in the Pueblo area, but homesickness for Texas eventually split up the family. While a majority of the band headed back to the San Angelo area, cousin (and trumpet player) Danny Gutierrez and Rudy decided to make a go of it in Pueblo. 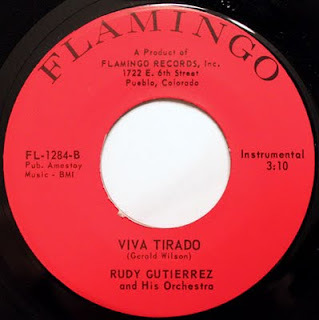 After recruiting a number of local players, the Rudy Gutierrez Orchestra was soon complete, with a total of ten members: Two trumpeters, one trombonist, one alto saxophonist, one tenor saxophonist, one bari saxophonist, one bass player, one guitarist, one organist, and a drummer. 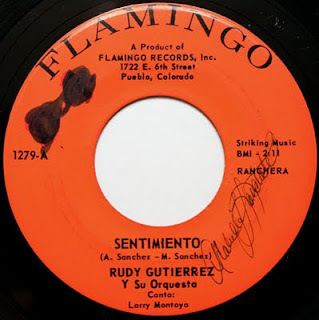 By the 1970s, the Rudy Gutierrez Orchestra became a regular fixture around town, playing in various clubs, including Gutierrez’s own Tico Room on Northern Street. Due to their popularity, and the demand of their audience, the band began to record their music. 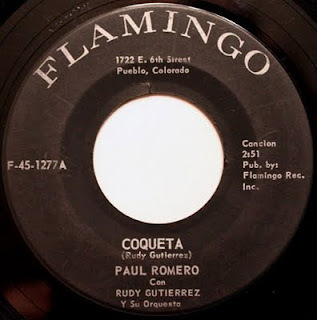 Gutierrez created the Flamingo record label, which was based out of his Pueblo home on 6th street. While unsure of the total, Gutierrez Jr. estimates that his father released close to a dozen singles. Performing traditional ranchera, balero, and cha-cha styles, the band enlisted the help of Paul Romero, who took over as lead vocalist on the early recordings. (Author's note: Flamingo 1278 "Our Love" / "All About You" with vocals by Eddie Martinez). On the later recordings, singer, and organist Larry Montoya would lend his talents to the band. (Author's note: Flamingo 1280 "Marita" / "Las Cuatitas." Flamingo 1281 "Este Fue Mi Adios" / Todo Me Gusta De Ti," Flamingo 1282 Una Por Una" / No Cuento Contigo," and Flamingo 1283 "Mi Chulita" / "Dame Un Poco De Ti" all vocals by Larry Montoya). 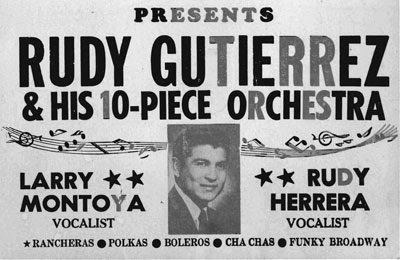 Rudy Gutierrez had established himself as a showman, giving his audiences their money’s worth with often marathon-long shows. Rudy Gutierrez died September 1, 1975. The group would carry on as the Gutierrez Orchestra for a number of years, before disbanding. His son, Rudy Gutierrez Jr., would go on to follow in his father’s footsteps as a local musician. He is also a published author, Rudyville.org.